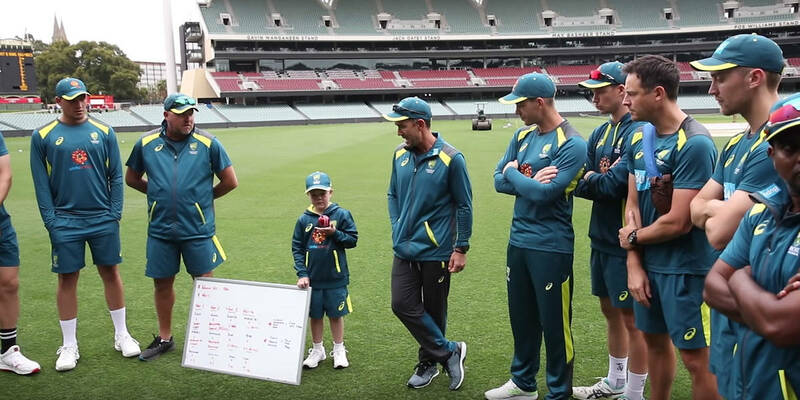 In the lead up to Archie's wish, our new cricket star met the Australian Team for the first time - training together at Adelaide Oval. See what happened here. Arriving with his family for the First Test in Adelaide, Archie met Captain Tim Paine - who immediately shook Archie’s hand. Other players flocked to Archie’s side, treating him like any other new recruit during a trip down to the change rooms, also known as the ‘inner sanctum of the baggy green’. 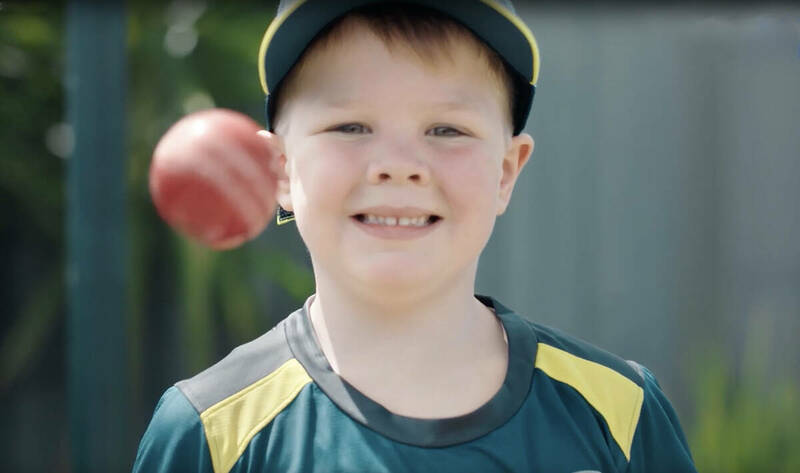 While Archie, his dad Damien, Captain Tim Paine and Coach Justin Langer talked strategy, Archie’s little brother grabbed a bat and ball – challenging anyone and everyone in sight to play with him. It’s easy to see the passion for cricket runs deep in this family. Forming a huddle with the team, Justin formally introduced the newest member to his squad. Meanwhile, Archie’s favourite player Nathan Lyon presented him with his very own bespoke cricket whites. Having recently lost two front teeth, Archie seemed hesitant to smile at first – but as Nathan led him back up to the field to start the training session, it was impossible to stop him grinning. Over the next few hours, it was mesmerising to watch Archie as he kept up with his new teammates… stretching, bowling, batting and even running with sand bags. Archie was truly impressive as he kept up with the team. As the #WishForce fed Archie biscuits through the nets, the level of care and comradery from everyone in attendance couldn’t have been more amazing. 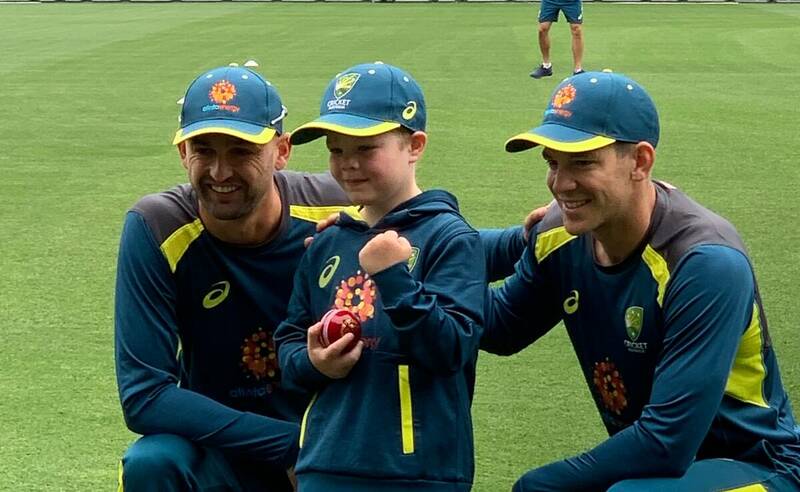 Former cricketing greats bowled to little brother Harry, 3, on the sidelines - while Coach Justin Langer took the time to speak to Archie’s family, making sure they were included in everything that was going on. What a boost for the entire family, after everything they've been through. As the biscuits began to run low, the training session eventually came to a close. As he prepared to leave, Nathan Lyon found Archie once more and insisted he come to a post-training debrief (mandatory for all squad members). There, he surprised Archie once again - giving him a gift of his own personal set of cricket whites that the entire team signed. Archie’s toothless smile could have been seen from the moon! With more than 700 kids currently on a Wish Journey, we need your help to make them happen.